This is a detective tale, of sorts. What I was interested in was finding a local ghost story; what I ended up with was much more. 'Perhaps the most notorious and troublesome of our Herefordshire ghosts was Black Vaughan, of Hergest Court, said to be the ghost of the Vaughan whose monument stands in Vaughan chapel of Kington church. He was a very wicked man, so after his death he could not rest, and came back "stronger and stronger all the while." At last he came in broad daylight, and would upset the farmers' waggons, loaded with hay or corn; he would jump up behind their wives riding to Kington market. He sometimes took the form of a fly, in order to "torment (tease) the horses!" Finally, he came into the church itself, in the form of a bull. It was decided that something must be done; people went so much in fear of Black Vaughan that attendance at Kington market was affected, and the prosperity of the town suffered. "So they got twelve parsons, with twelve candles, to wait in the church to try to read him down into a silver snuff-box. For," the old man who told me this story explained, "we have all got a sperrit something like a spark inside we, and a sperrit can go large or small, or down, down, quite small, even into a snuff-box." There were present, to help lay the spirit, a woman with a new-born baby, whose innocence and purity were perhaps held powerful in exorcism. '"Well, they read, but it was no use; they were all afraid and all their candles went out but one. The parson who held that candle had a stout heart, and he feared no man nor sperrit. He called out 'Vaughan, why art thou so fierce?' 'I was fierce when I was a man, but fiercer now, for I am a devil!' was the answer. But nothing could dismay the stout-hearted parson, though, to tell the truth, he was nearly blind, and not a pertickler sober man. He read, and read, and read, and when Vaughan felt himself going down, and down, and down, till the snuff-box was nearly shut, he asked 'Vaughan, where wilt thou be laid?' The spirit answered 'Anywhere, anywhere, but not in the Red Sea!' So they shut the box, and took him and buried him for a thousand years in the bottom of Hergest pool, in the wood, with a big stone on top of him. But the time is nearly up!" 'Two footmarks were formerly to be seen in the grass under an oak tree near Hergest, which were pointed out as the spot where Black Vaughan was wont to stand, to watch the deer in the park. So wicked was he that grass never after grew on the spot where he stood. I was told by the late Mr T. Lloyd, of Kington, that he had seen "Vaughan's footmarks" when a boy, but they have now disappeared. The oak tree was cut down some years ago, and it was said that the man who felled it went mad afterwards, and died in the asylum. That isn't the end of the ghost story; Leather did not record every aspect of it, though she did the main part. We can look at the additional details later; for now, I'd like to consider whether or not Leather was correct in her assessment of the Vaughan family. Back when this story begins, Hergest was a manor that had fallen into disrepair, and which was passed from a father to his son. The father was Sir Roger Vaughan of Bredwardine; the son, his second: Thomas. One of Thomas's brothers was Roger Vaughan of Tretower, who crops up again later. When Thomas acquired Hergest Court he is said to have extended and fortified it, so it became a grand manor, and that nine generations of Vaughans lived there after him. But before we even consider Thomas, let's have a closer look at his immediate family, which was extensive and personally involved in some of the major events of Welsh and English history. Sir Roger Vaughan was the head of one part of a great clan, which owned huge tracts of land on both sides of the Welsh border in Herefordshire and Radnorshire. The various parts of the clan intermingled and there seemed little difference whether one of them came from the English or Welsh side of the family. In Welsh, the family name was Fychan, and so Thomas was known as Tomas ap Rosier Fychan Brodorddyn, arglwydd Hergest, Bleddfach, Nash, a Llaneinion: Thomas, son of Roger Vaughan of Bredwardine, lord of Hergest, Blethvaugh, Nash, and Llaneinion. Thomas was born around 1400. His mother was Welsh: a daughter of David Gam, the man paid by Henry IV to assassinate that towering figure of Welsh resistance, Owen Glendower. After getting out of prison Gam rejoined the English royal household. At the battle of Agincourt in 1415, Gam, his son in law (Roger Vaughan, father of Thomas) and another soldier named Watkin tried to protect King Henry V against an attack by 18 French knights. All three were killed in the attempt, and all were knighted as a result. Also at that battle, when another knight, Sir Peers Legh was wounded, his mastiff stood over him and protected him for many hours through the battle. The story became famous and the mastiff founded a famous line of the breed. I only mention this because it has resonance with that part of the legend of Black Vaughan which E M Leather did not relate and which we will return. So Thomas lost his father when he was around 15. Prior to his death, his father had been known as Rosier Fychan, which, in Welsh, means Roger the younger. As Welsh folk took no surnames, they were often distinguished by a nickname. So Thomas' grandfather was Roger the elder (Rosier Hen) and his father Roger the younger. Of course, an English knight has to have a surname and the story is that 'Fychan' (Vaughan) was taken as the family name when Roger became Sir Roger, which is how Tomas ap Rosier Fychan (Thomas son of Roger the younger) became Thomas Vaughan. Obviously, if he was going to become a ghost, young Thomas was going to have to die. He took a good, long while achieving that. We know that, in 1422, when he was in his early twenties, the next king in line, Henry VI, gave him some land and he became the constable of the castle of Huntingdon (some two miles from Hergest). Back then, the office of constable was a senior position of responsibility for political prisoners. By the time he reached his early fifties, the same king gave him the three lordships of Brecknock, Hay, and Huntingdon in 1453-4. If the king was trying to ensure his loyalty with all these gifts, it didn't work. This is the time of the Wars of the Roses, and Thomas joined with his brothers to abandon his previous loyalty to the House of Lancaster in favour of that of York. Despite this, at the Coventry Parliament of 1457, he was granted a general pardon, with others of his kinsmen and neighbours, for their support of the Yorkist cause. In 1460, he was placed on a commission to seize, in the king's name, the castles and manors of the duke of York and the earl of Warwick that lay in Elvell, Melenith, Gwerthrynion, and on the Herefordshire border. Warwick supported York, and the whole of the Marches was now pro-Yorkist. Thomas no doubt failed to carry through his commission as the Yorkist heir ascended to the throne in June 1461 as Edward IV. In the same year, the king appointed Thomas receiver of three lordships of during the minority of the heir to the duchy of Buckingham. In 1462 the king also gave him the Lordship of Pencelli. By 1467 Thomas and his brothers were travelling North Wales as assize judges. 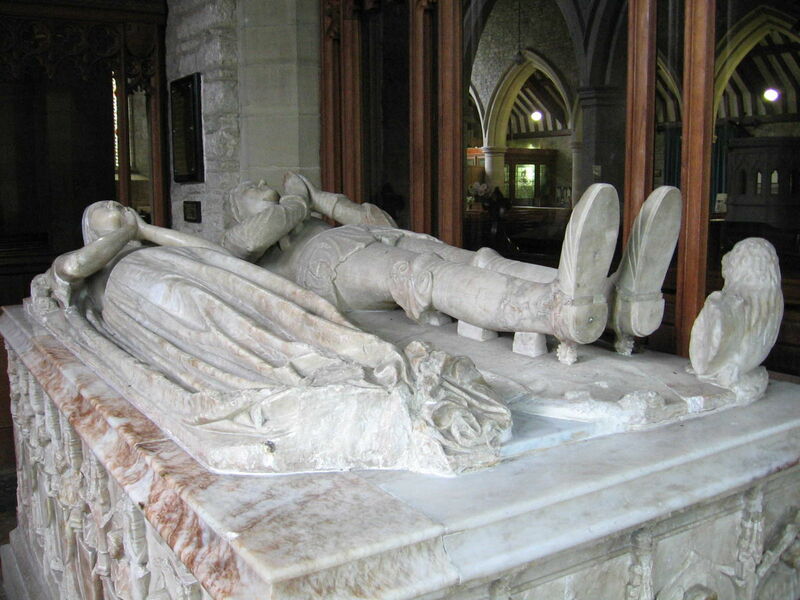 In 1469 the earl of Warwick turned against Edward IV and defeated him at the battle at Danesmoor at Edgecote, Banbury. Thomas went into that battle in support of his king and died on the field. By then he was in his late sixties. As Leather relates, he was buried at the parish church in Kington, where the family vault, created by his widow, still remains. Now we leave the historical records and enter the stories that surrounded Thomas' death. Despite the tale Leather recorded ascribing the sobriquet 'Black' to a fearsome reputation as the squire, another explanation has it that Thomas was known by this name because he was as dark as his brother Roger of Tretower was fair. And so Thomas' family were known as the Black Vaughans and his brother's family as the Red Vaughans. It's impossible now to know when the ghost story began. The tale as recorded in Leather mentions a snuff-box as holding Thomas. Tobacco did not come to England until the end of the 15th century (twenty or thirty years after Thomas died), and snuff did not become popular in Europe until the mid-16th century. Legend has it that snuff began when Catherine de' Medici was sent tobacco and advised to grind it up to help relieve her son's migraines. Some say it was Charles II who brought the habit into England from France, which moves us into the second half of the 17th century. The height of the fashion for snuff, and for snuff-boxes, was during the 18th and 19th centuries. Although the tale may be far older, it seems likely that detail about the snuff box was not added until around the 18th century. In an article published on the BBC's Hereford & Worcester website in 2004, they reported: ‘Local people around Kington take the stories of the ghost of Black Vaughan, and his black dog as more than just legend. ‘Many refuse to walk near his home of Hergest Court at night, for fear of seeing something unnatural. Shades of that mastiff on Agincourt? Actually, shades of an even more curious nature, as many people suspect that Conan Doyle did not base the Sherlock Holmes story The Hound of the Baskervilles on a West Country ghost story at all, despite the dedication he made in the book, but that it was based on Black Vaughan's hound. So, is there any evidence to support the claim? Well, for one thing, there's the family link between the Vaughans and the Baskervilles. Thomas named his eldest son, born about 1440, Watkin, presumably after the soldier who had fallen at Agincourt with his father and grandfather. Watkin married around 1464, shortly before his father died. The name of his wife? Elizabeth Baskerville. There are also the names of characters in Conan Doyle's book, such as Mortimer and Stapleton, which echo the names of locations around Kington and Hergest. So much for the ghost and the detective; now what of the rest? You might think that all the folklore associated with Thomas was enough. Not so: his wife Elen came with her very own “Robin Hood” legend. Elen was Welsh. Her birth name was Elen Ferch Dafydd Fychan ap Cadwgan (Elen daughter of David Vaughan, son of Cadogan). She came from another branch of the Vaughan family; by repute, of Tyle Glas. This estate appears to have eventually gone to Thomas' nephew: the son of his brother, Roger of Tretower. One story has it that Elen and her brother, also named David, lived happily together into adulthood on a family estate at Nash (note that Nash is also named as one of Thomas' manors). However, her brother is also named in the National Library of Wales as Dafydd Fychan of Llinwent (Leintwardine) in Llanbister, which implies his manor was there, and not at Nash. The tale that follows is partly drawn (much abridged!) from The Heroines of Welsh History 2 by Thomas Jeffery Llewelyn Prichard, and partly from other sources. Another branch of the family of the Fychans, of equal standing in respectability, opulence, and consequence, resided at Talgarth, in the county of Brecon. The two houses were rivals. Philip of Talgarth had a son, Siôn Hir, or John the tall. Siôn and Elen's brother met in Llinwent, and by repute, went drinking together, argued and fought, and Siôn Hir killed Dafydd. Elen vowed revenge. The year was 1430, the place Llandewi in Radnorshire, not far from Llinwent, and the event an archery contest, which Siôn Hir was attending. Elen dressed as a man, took with her a bow and arrows, and took part in the competition. Siôn Hir was winning, and invited others to best him. Elen took aim at the bull's eye, but shot her arrow into Siôn's heart. In the ensuing confusion Elen made her escape. Once away, she didn't try to hide the fact she'd killed the man who had killed her brother. This seems to have won her admiration, as there is no record of her having ever been arraigned for the crime. Quite the opposite: she was dubbed 'Elen Gethin' (Elen the Terrible), a name she was known by for the rest of her life to the present day, rather by her marital name of Elen Vaughan. Within ten years she had married Thomas Vaughan, and they had three children together. It's hard to tell how happy their marriage was, but there are a few indications. There's the opulent tomb in St Mary's church in Kington, for one, though that could possibly be accounted for as a display of wealth. 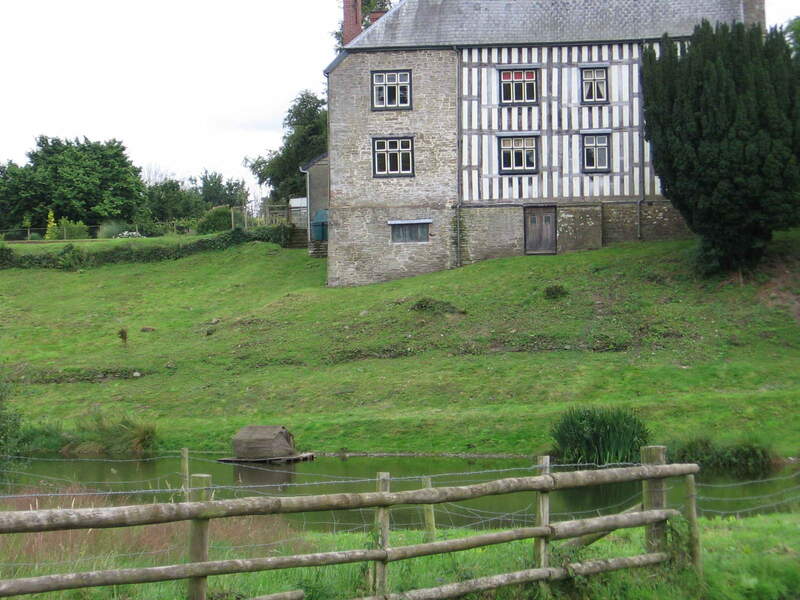 A few short years after Thomas' death, Elen was living at Nash, near Presteign in Powys, on the border with north Herefordshire not far from Hergest. No doubt she had vacated Hergest Court when it went to her eldest son, Watkin, and moved to one of her husband's subsidiary manors, as was expected of a widow. In 1474, while living at Nash, she obtained an indulgence for those who would pray for her husband's soul. This might be accounted the act of a good Christian rather than a devoted wife, so what other evidence is there? Perhaps that of the tradition they created between them in Hergest Court while they lived there, which was apparently carried on by their son Watkin. It was a tradition that eventually gave us the Mabinogion. There is little doubt that Hergest Court, in the time of Thomas and Elen, was a centre for Welsh culture. According to The Dictionary of Welsh biography in the National Library of Wales, it was "a resort for the greatest Welsh bards of the 15th century." For three generations Welsh culture found a home at Hergest. There were preserved the 'Red Book of Hergest,' which is now at the Bodleian Library, Oxford, and the 'White Book of Hergest.' So why were these books important and how was it they came to rest at Hergest Court, and when? The Llyfr Coch Hergest (Red Book of Hergest) is one of the most complete, and therefore most important, medieval Welsh manuscripts. It is believed to have been written some time between 1375 and 1425, and includes a mixture of poetry and prose. The manuscript was named for it having resided at Hergest Court until the 16th Century, and for its red leather binding. The route through which the Red Book came to reside at Hergest Court is not straightforward. 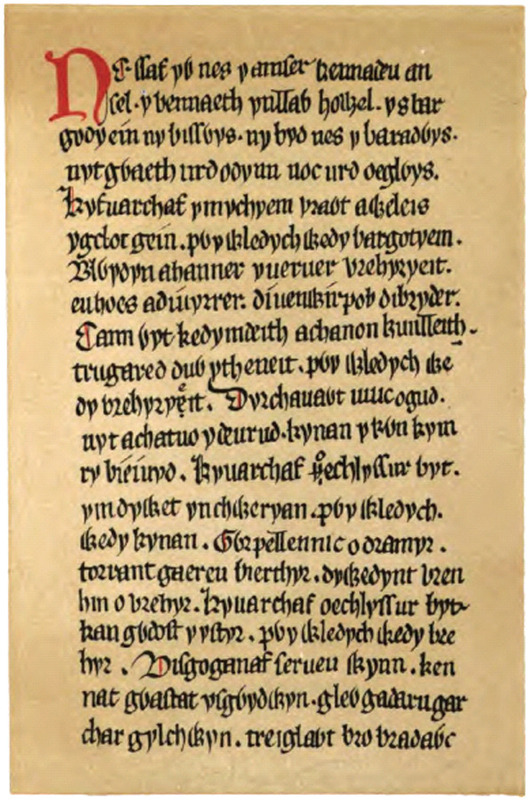 A Welsh manuscript now housed at the Philadelphia (USA) library, records a statement by Hywel Fychan fab Hywel Goch of Buellt (Builth) that he was commissioned by Hopcyn ap Tomos ap Einion (c. 1330–1403) to copy much of the important Welsh literature currently available into a single volume. It is unlikely that Hywel Fychan was related to the Vaughans, despite the name, which was probably simply another case of it being used as a nickname. In this case, it was Hywel the younger, son of Hywel the Red. Many copyists may have been involved in the work, but Hywel seems to have been the main architect. Hopcyn ap Tomos lived near Ynysforgan, near Swansea, and was interested in poetry and literature. The Red Book includes a large collection of manuscripts and is best known as a source of the great majority of the tales of the Mabinogion, along with the White Book of Rhydderch. Most notably, it alone contains tale of the Dream of Rhonabwy. It also contains historical texts, including a Welsh translation of Geoffrey of Monmouth's Historia Regum Britanniae, and a series of Triads. The rest of the manuscript contains poetry, especially from the period of court poetry known as Poetry of the Princes (Welsh: Gogynfeirdd or Beirdd y Tywysogion), as well as a collection of herbal remedies attributed to Rhiwallon Feddyg, the first of a family of country doctors who lived in the parish of Myddfai, collectively known as the Physicians of Myddfai. What it fails to include is any of the poetry of Wales's best known poet Dafydd ap Gwilym who was active in the 1340s and 1350s. This is generally attributed down to the personal taste of Hopcyn. as the person paying for the work, he would dictate what was to be in it. A more recent writer, J. R. R. Tolkien, borrowed the title for his Red Book of Westmarch, the imagined legendary source of the tales he wrote. There are several odes to Hopcyn in the Llyfr Coch undoubtedly included because of his patronage. Hopcyn ap Tomos' grandson (also named Hopcyn) ironically fought on the Lancastrian side in the Wars of the Roses, supporting the Welsh forces of the Earl of Pembroke. He died at the battle of Mortimer's Cross in Herefordshire 1461, where Edward of York defeated Pembroke. Hopcyn's lands and possessions then became forfeit to the Vaughans of Tretower. These possessions included the library and the Llyfr Coch. Roger of Tretower was, of course, the brother of Thomas of Hergest. And so the Red Book came to rest at Hergest Court, that centre of Welsh culture, from about 1465 (a few years before Thomas' death) until the beginning of the seventeenth century. It was presented to the Bodleian Library on behalf of Jesus College, Oxford (MS 111), a gift of the Rev. Thomas Wilkins of Llanbleddian 1701, and can be seen there. 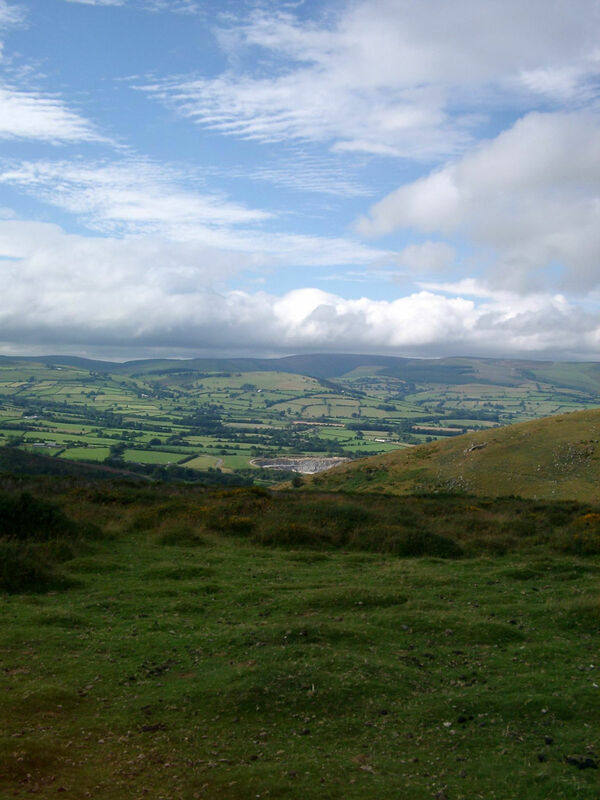 The second great source for the Mabinogion is the Llyfr Gwyn Rhydderch (White Book of Rhydderch – not to be confused with the White Book of Hergest!). This forms the earliest extant version of the majority of the Mabinogion. It is currently housed in the Llyfrgell Cenedlaethol Cymru (National Library of Wales). It is the earliest compendium of Welsh texts. After Rhydderch's death the manuscript seems to have remained in the family's possession until about the middle of the fifteenth century. About 1658, the manuscript, which had already been divided into two volumes, was, rather quaintly, acquired by a man named Robert Vaughan and incorporated in his famous library at Hengwrt in Merionethshire. It was presented to the Welsh National Library in the early years of the 20th century. Although the White Book is the earlier, most of the Mabinogion was founded on the Red Book. The White Book of Hergest was a collection of Welsh prose and verse which was believed to have been largely transcribed by Lewis Glyn Cothi, one of the greatest of the 15th century Welsh bards. He sided with the Lancastrians in the Wars of the Roses, especially with the earl of Pembroke, and became an outlaw after the battle of Mortimer's Cross. The White Book was sent to London for rebinding in 1808 and lost in the Covent Garden fire. And so you have it: how it came to be that a Marches ghost and a Welsh maid named for an act of revenge came to help create the foundations of that greatest book of Welsh myth, the Mabinogion. So, where does this leave us? Well, as I've mentioned, a few years before his death, Thomas acquired the right to be what we would now call an assize judge. Was he unduly harsh, I wonder? Was this what created the impression that would linger as the ghost tale of Black Vaughan? Or perhaps people wished to distance themselves from Thomas once the Lancastrians finally defeated the Yorkists and Henry VII ascended the throne in 1485. Or perhaps Thomas played the arrogant squire: the great patron of the arts at home, but not so given to largesse to his tenants. And so was recalled with acrimony with tales of adversity attributed to him as a malevolent ghost. No such attribution attached to his wife, who had obviously been so loved to people, at all levels of society, that she did not pay for her crime of assassination. Who knows what went on in the private relationship between these two during a (for the time) long-lived marriage. They left no correspondence to give us a clue. All that remains is Elen's gift of the vault at the church of Kingston, and the indulgence for those who would pray for her husband's soul. Is it an indulgence in itself, one wonders, to think of Elen as a hot-headed Welshwoman, guided by her heart more than her head, and her husband as a cooler headed Anglo Saxon, to whom many in the Marches could not warm? Yet the great clan of the Vaughans straddled both countries and it is obvious that its scions were as much at home in either, and may not fit some of the stereotypes we sometimes prefer today. I'd like to think the marriage was happy, and that Elen would have been grieved by the later folklore about her husband. That may simply be romanticism. Whether it is or not, I do think both would have taken great pride in the lasting gift they gave to Welsh mythology. So, should you ever be in the Marches, and have read the Mabinogion, you may wish to visit the small market town of Kington and stop by the church there, to pay your respects to Black Vaughan and Elen the Terrible and for the contribution they made to Welsh literature and the pre-Christian religion. And perhaps give them a nod towards a long and (hopefully!) happy marriage. And maybe even go out to Hergest Court and leave an offering for the Hound of the Vaughans – and the Baskervilles. unless otherwise attributed, images copyright Alexa Duir. Ask me before copying.